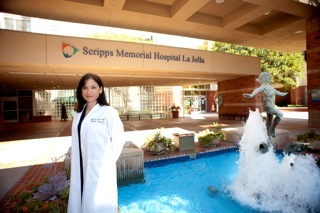 Marialyn J. Sardo, MD, FACS is a native San Diegan. She was educated at San Diego State University and graduated with Academic Distinction and Highest Honors in Chemistry, as well as attaining the honor of Phi Beta Kappa. She performed research on the biochemical basis of Muscular Dystrophy. 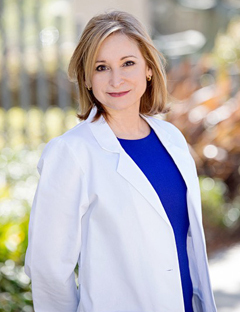 A graduate of the University of California, San Diego School of Medicine in La Jolla, CA, Dr. Sardo trained in general surgery at the University of California, Los Angeles and the prestigious Cedars-Sinai Medical Center in Beverly Hills. She received her training in Plastic and Reconstructive surgery at Boston University Medical Center. She obtained Board Certification by the American Board of Plastic Surgery and became a fellow of the American College of Surgeons (FACS). She has been in private practice, and has hospital staff privileges at Scripps Memorial Hospital in La Jolla. She has been featured performing Plastic Surgery on the television network TLC and on various newscasts. Professional Society Memberships include the Association of Plastic and Reconstructive Surgeons (ASPS), the California Medical Association, the San Diego County Medical Society. Dr. Sardo participates in Project Access San Diego providing free care to patients in need. She enjoys painting miniature portraits and other artistic endeavors. She created CoolZs moisture wicking nightwear that was sold at Nordstrom and QVC. She also performs dance for San Diego’s Flamenco Arana. 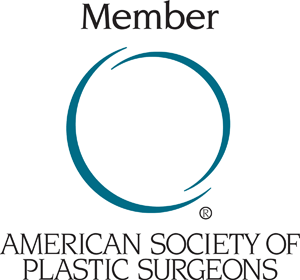 This Symbol of Excellence designates plastic surgeons who are Active Members of the American Society of Plastic and Reconstructive Surgeons. Members who display this symbol are certified by the American Board of Plastic Surgery and are dedicated to the highest standards of patient care and continuing development of professional skills and competence. The American Board of Medical Specialties (ABMS) is the agency which governs sub-specialty boards. They assure that surgeons certified in Plastic Surgery have received the appropriate training, passed rigorous exams and have demonstrated experience and competence in both cosmetic and reconstructive surgery. To see if a surgeon is certified by the American Board of Plastic Surgery, you may call the ABMS at 1-800-776-2378. FACS stands for Fellow of the American College of Surgeons. It is an organization comprised of surgeons who are Board Certified and have been in practice for at least two years. The member must demonstrate excellence in his or her field, ethical standards, and a commitment to continuing education.